We are one body; with many parts… Laus Deo! Omega World Outreach. Based in Norfolk, Virginia. 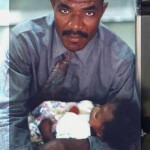 Since 1997, Start Again Ministries has worked with Omega World Outreach who has delivered over 5 million pounds of food to starving people in Ghana, West Africa, Mozambique, and the Dominican Republic. Support was taken to remote villages and distributed to needy people. Staff members were able to share the gospel of Christ with the recipients and thousands of families were saved. CBN’s 700 club. Virginia Beach, Virginia. The “700” Club television program has aired feature programs highlighting the testimony Angela Larson. Angela’s message of hope after domestic violence has been credited with over 100,000 men & women calling for and receiving help with domestic violence issues. 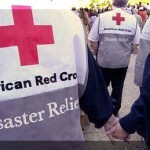 American Red Cross: Start Again Ministries has provided manpower, transportation, food, and emergency household items to victims of Hurricanes in the U.S. and Virgin Islands. We have provided food and household items to victims of household fires and natural disasters in many cities and counties in the United States. King’s Land Development, based in Ft. Worth, Texas. Start Again Ministries, in conjunction with KLD, purchased abandoned/low cost/ seized properties, often owned and used by drug and slumlords. Personnel from Start Again Ministries would rebuild the homes from the ground up to be sold to low income families at minimal cost. The Jesus Crusades, Inc., based in Spring, Texas. In the summer of 2003, Start Again Ministries provided anointed praise and worship music for daily evangelistic meetings, held under a tent in Spring , TX. Angel Flight: Start Again Ministries has planed to provided aircraft, personnel and funding for Angel Flight missions. Angel Flight is to provide transportation to people requiring medical care away from their homes. 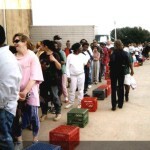 Loaves and Fishes Ministries, the Fort Worth Hope Center, Northwest Houston Assistance Ministries, and many other food distribution organizations. Start Again Ministries has organized corporate participation and donation in many food distribution outlets. Activities include facility acquisition, set up and funding for small facilities up to multi-million dollar facilities in Texas, Kentucky, Virginia, & other locations throughout the United States & abroad. There are many other organizations with too little space to include. Start Again Ministries has brought aid and comfort in India. Among the over 600 churches in country, our outreaches include the Revelation Churches International, Zion Faith International and the ministry of Pastor Vinod Abraham, the Society for Enlighting, Witnessing & Awakening (SEWA) located in Chottepur, India. In Israel, Start Again Ministries founders Jeffrey and Angela Larson provided praise and worship music for the Christian Embassy in Jerusalem for the celebration of the Feast of Tabernacles. We are also working with Dr. Carl Baugh as well as people working with the antiquities department in Israel to uncover and secure lost Biblical sights. In Haiti, Start Again Ministries has worked with STEP, a local seminary, and McKinney Memorial Bible Church in Ft. Worth, Texas to build a computer center, miscellaneous buildings, and sidewalks for a missionary camp in Verrettes, Haiti. In Latvia, Start Again Ministries personnel helped to equipped the first Christian radio station to broadcast in that formerly communist country. Today, millions of persons listen every day to music and educational materials provided by Start Again Ministries. 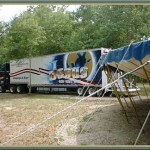 Materials collected from CBN, TBN, and hundreds of ministries throughout the United States. Start Again Ministries boasts a network of hundreds of volunteers from all walks of life. Backgrounds include architects, every aspect of construction personnel, engineers, business owners, Medics, Doctors, Dentists, Nurses, water well drillers, water purification experts, pastors, evangelists, musicians, aircraft mechanics, and inventors. Since 1997, Start Again Ministries has served other organizations by delivering over 15 million pounds of food to starving people in The United States, Ghana, Liberia, South Sudan, Kenya, Uganda, Haiti, Mozambique, and the Dominican Republic. Support is taken to remote villages and distributed to needy people. Staff members are able to share the gospel of Christ with the recipients and thousands of families were saved. 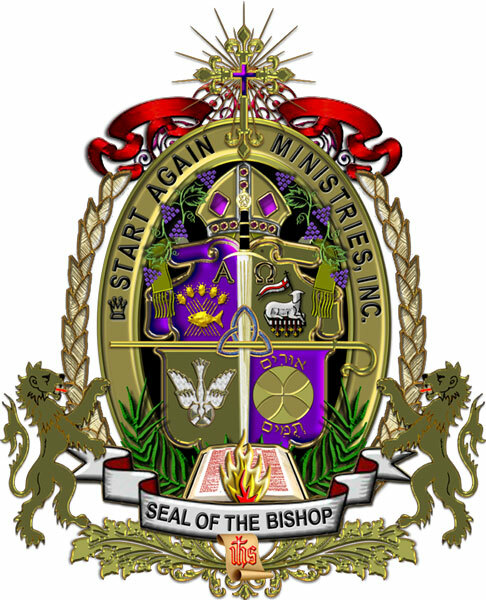 Originally the vision of Bishop Dr. Jeffrey Larson, Start Again Ministries has grown from it’s original conception in 1991. Incorporation and receiving it’s 501(c)3 in 1994 pushed Start Again Ministries, Inc. into full time operation. The first food pantry of Start Again Ministries was operated out of the Larson’s home in Burleson, Texas. Today, Start Again Ministries has started major food distribution outlets throughout the United States and in many foreign countries.